Heading to the North this weekend? Check out Cara Mia's Buy1 Get1 Promo. Drop by Cara Mia Trinoma, SM Fairview and Ayala Fairview Terraces branches for an AMAZING Buy 1 🎂 Take 1 🎂 Cake treat! 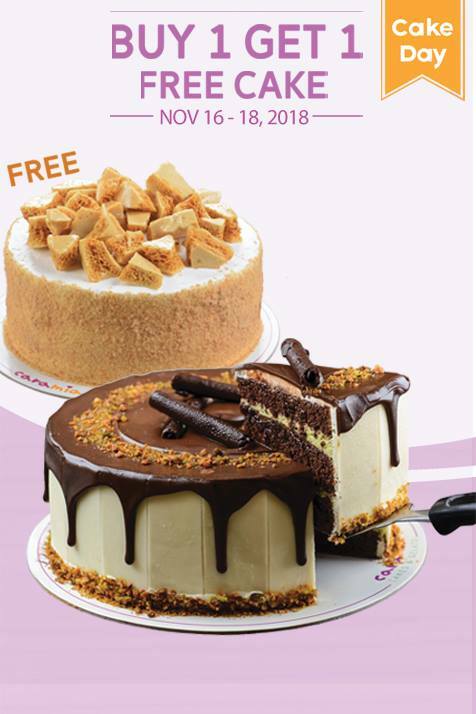 Buy any cake from Cara Mia's branches indicated above, and get a Cara Mia's Sea Salted Honey Crunch for FREE! (The cake purchased must be of equal or higher value than the free cake).